There’s something bright, shiny and new under Chevrolet’s Christmas tree today and it’s not a present—it’s an award. 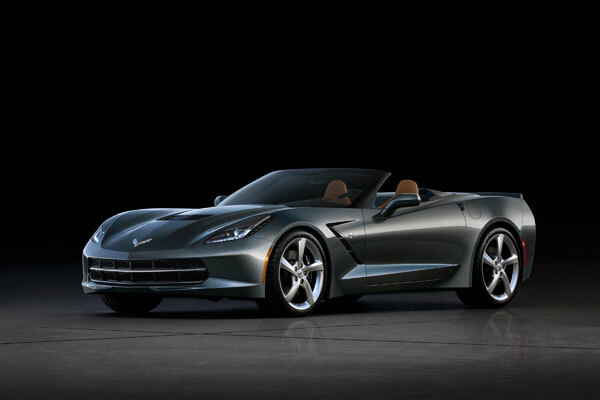 Detroit Free Press has named the 2014 Chevrolet Corvette and Silverado its Car and Truck of the year, giving the American carmaker a surprise present to open this week. The Silverado, which has quickly blown away the full-size truck segment, has the performance, efficiency, and comfort needed when using a pickup every day with the practicality of the CornerStep bumper and EZ Lift and Lower tailgate. In the Car arena, the Corvette easily passed the competition with its great combination of 455 horsepower and 29 mpg highway fuel economy, which goes unmatched by even the Ford Mustang. Add the $51,000 price tag and it’s no surprise that the car had the Detroit Free Press tipping its hat. With unparalleled style and value, the Corvette and Silverado shone brighter than the rest of the competition, exemplifying exactly what buying a Chevy means. If Chevrolet keeps reaping in the awards, we’re pretty sure we might need sunglasses to look at their trophy shelf! Summit City Chevy has been a family owned business for over 45 years, serving Fort Wayne, IN, and the surrounding area including Columbia City, New Haven, Auburn, and more. We offer a large selection of new Chevy cars as well as all the most popular used makes and models. Summit City also has a parts/service department and body shop. For customers getting work done with us, we offer “courtesy cars” and a shuttle service – because our customers are our number one priority!